The Ph.D. in Education program is intended primarily for individuals seeking a career in higher education or in other research-oriented leadership fields. The program focuses on the formulation of new ways to think about issues and solve problems in the field of education. The Ph.D. in Education offers a unique combination of four emphases: Cultural and Curricular Studies, Disability Studies, Leadership Studies and School Psychology. 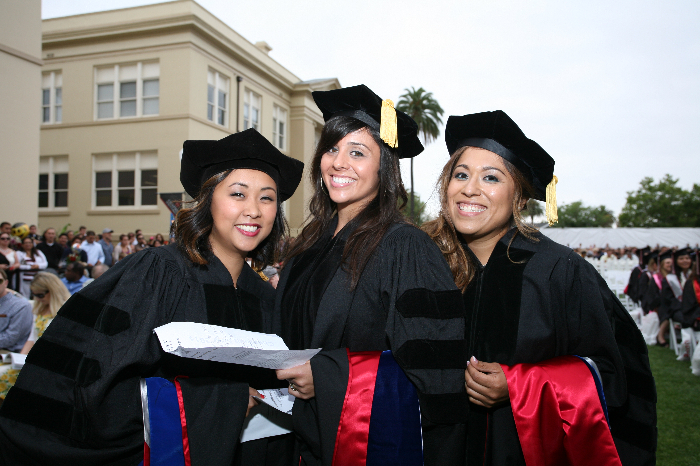 Chapman's Ph.D. in Education program admits a new cohort each fall. The Fall 2019 priority entry deadline is January 18, 2019. Acceptance into the program is based on an evaluation of the whole student, with no single criterion used to base an admission decision. There are no cut-off scores for the GRE or GPA. Online graduate application to the Chapman University Ph.D. in Education program. Supplemental application to the Chapman University Ph.D. in Education program (through online application). Official undergraduate and graduate transcripts showing evidence of a master's degree from an accredited institution of higher education. Official Graduate Record Examination results in the verbal, quantitative, and analytical writing sections. Two letters of recommendation to include one from graduate-level professors who can describe the academic potential of the applicant, and one from someone who can speak to the applicant's professionalism (e.g., a current employer or a current colleague). Letters from relatives will not be considered. A personal essay (minimum 2250 words) will be used to assess the applicant's writing skills, career commitment, leadership potential, research interests, and professional goals (uploaded through the online application). This essay should indicate the professors with whom the applicant wishes to study and the ways in which the applicant's research interests align with faculty expertise. The essay should be substantive enough for the faculty to determine the depth of the applicant's thinking and commitment to a rigorous program. A current resume showing relevant education and work experience (uploaded through the online application). Attend an Information Session to find out more about the Ph.D. in Education program! You will be sent a free parking permit for the event. Applicants to the Ed.S. in School Psychology program who are interested in the Ph.D. in Education may, with approval of the Program Coordinator, substitute 6 credits of doctoral level coursework for 6 credits of Ed.S. coursework. Upon completion of the Ed.S. degree, students can apply for regular admission to the Ph.D. in Education program and, if admitted, will begin the program with 6 of the 48 credits needed for the Ph.D. in Education with an emphasis in School Psychology. Please see the School Psychology Program Coordinator for more details. Dr. Dawn Hunter Professor and Director of the Ph.D. Program at Chapman University earned her Ph.D. at the University of Maryland, College Park. 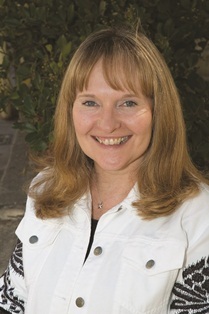 Prior to her work at Chapman, Dr. Hunter worked for the U.S. Department of Education, Office of Special Education Programs in Washington, D.C. Dr. Hunter's experience also includes teaching high school students and adults with severe disabilities, designing and coordinating educational, vocational, residential and recreational programs for students with disabilities, and monitoring the Individuals with Disabilities Education Act (IDEA) at the federal level. Dr. Hunter has publications in the areas of inclusive schooling, building collaborative partnerships, positive behavioral support strategies for students with challenging behaviors, changing attitudes toward persons with disabilities, post secondary options for students with disabilities, vocational and leisure skills training, policy development, and systems change. Attallah College is proud to have the first research-based doctorate at Chapman University and Ph.D. Scholarships help attract the best and brightest doctorate candidates to our community. These candidates and their research will bring immeasurable value to Chapman in the years to come. If you are interested in helping with scholarships for our Ph.D. students please visit the Student Scholarships page for more information on how you can donate!